Citing sources from Apple's supply chain, the WSJ reports that a new Retina display-toting iPad mini will debut at Tuesday's media event, siding with a number of industry watchers who believe Apple can overcome apparent supply chain constraints with the high-resolution panel. While analysts and mainstream media alike agree that Apple will likely unveil a redesigned fifth-generation 9.7-inch iPad next week, the second-generation mini has been the source of much debate. The main concern is whether Apple's supply chain can manufacture a sufficient number of 7.9-inch Retina-quality panels. 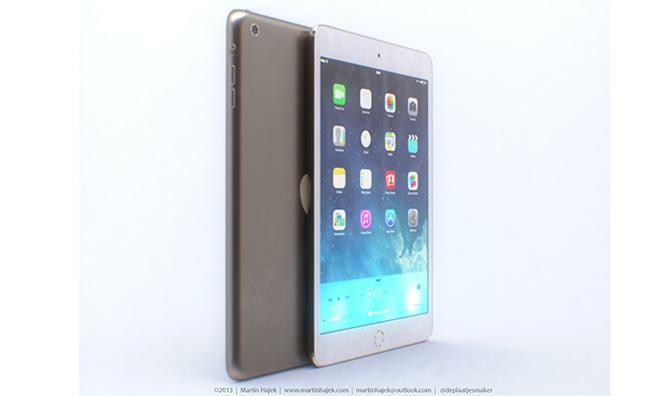 Earlier in October, Reuters suggested that Apple may face severe supply constraints of its next-gen iPad mini if the company chose to launch the device this year. The report cited sources as saying low yields from Apple's display suppliers, LG Display, Samsung and Sharp, were holding up production of the tablet. This aligns with a prediction from KGI analyst Ming-Chi Kuo's prediction, who said low display yield rates would delay mass production of the next-gen iPad mini until October. If Apple is able to meet anticipated demand for the unannounced mini, however, the tablet is forecast to outsell its larger brother nearly two to one over the lucrative holiday season. Interestingly, a look Apple's indirect channel inventory showed high levels for the current non-Retina iPad mini, suggesting the model may be carried over after Tuesday's announcement. Alternatively, the company could have simply dumped remaining direct channel inventory to reseller channels ahead of the new models' anticipated debut. All speculation should be laid to rest on Tuesday, when Apple is widely expected to announce the new iPad and iPad mini, possibly alongside OS X 10.9 Mavericks and new Mac products. AppleInsider will be at the event providing live coverage from 10 a.m. Pacific, 1 p.m. Eastern.